It is vital for buildings to test their electrical installations in accordance with 17th edition regulations and here Direct Trade Supplies you can do so by using 17th edition testers. These are important testing kits for checking power supplies and their voltage range, and failing to acquire such tools will make the job impossible to carry out and neglecting such tasks can be highly dangerous. Direct Trade Supplies has helpful tools for various different trades, we are proud to cater for professions where finding specific equipment can sometimes be a struggle. For electricians we have quality 17th edition tester kits to enable you safe measuring and testing time and time again. 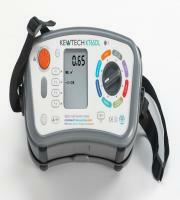 Our electrician 17th edition equipment will massively benefit the way in which you carry out your testing. Our entire testing equipment selection features easy to function and safe to use 17th edition tester kits. They have been professionally designed and safety checked before being released onto the market. Checking and testing electrical currents is not a task where safety should be overlooked, this is why Direct Trade Supplies only stocks well established brand names and models which will ensure high performance and safety benefits. We are proud to announce excellent 17th edition testers by Martindale. Martindale are a well established manufacturer who specialise in producing electrical products and testing tools. The Martindale Kit 25000 fully complies with Part P regulations, and has been expertly designed, it contains a non-trip earth tester, high spec insulation tester and continuity testers for the safety of commercial or domestic properties. It is very important that when you go to buy equipment for your trade it is durable and is sure to perform well in many situations. A quality piece of tester kit in line 17th edition regulations can give you and those around you reassurance that your electrical units are in perfect condition. Not only will this electrical test equipment provide a quality performance but by owning such equipment will bolster your safety and minimise the possibility of anything dangerous happening. 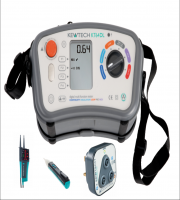 When you are working with electric and powerful currents you need to be prepared with quality tester kits, and here at Direct Trade Supplies you can discover many tools, equipment and gadgets of the trade including our 17th edition tester sets.